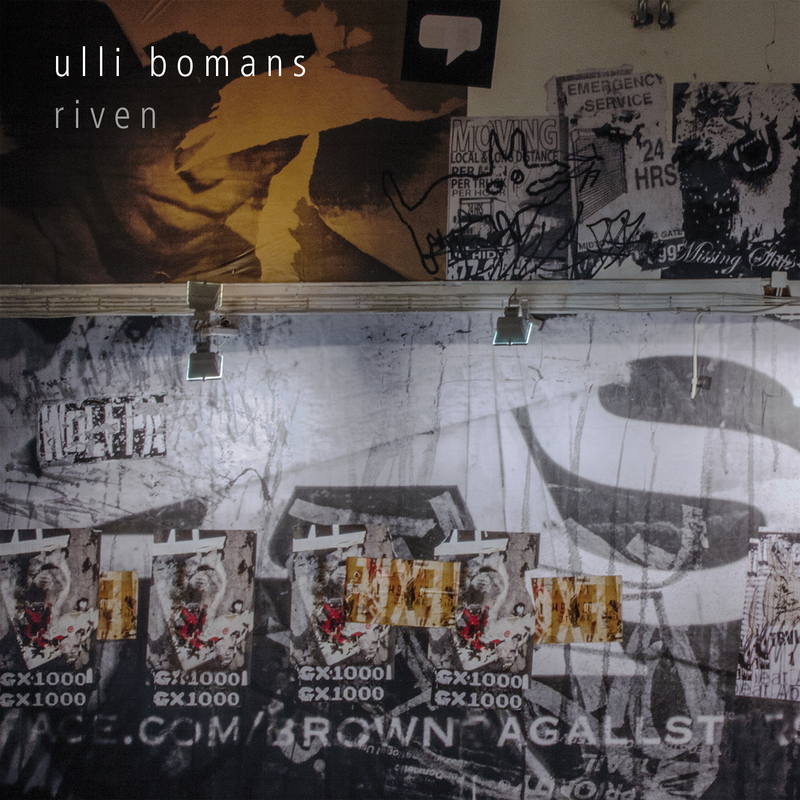 “RIVEN” by ULLI BOMANS comes straight from the heart of SHITKATAPULT, both personally and musically. As Schieres and Shrubbn!! (with T.Raumschmiere), ULLI BOMANS has been re- leasing uncompromising electronic music since the day the Berlin Label was founded. He made it onto Strike001 with Shrubbn!! (v.a. Cozmick Suckers Vol. 01). But BOMANS’ main work is actually as a visual artist in Hamburg (and Bremen), which is also how the cover of RIVEN originated – an illustration of his work “MISSING SHIPS” from his last exhibition (“SPOILPARK”) in Bremen. His work consists mostly of large-scale collages, which are aptly referred to as urban sampling and are closely related to his music production. So it seemed more than logical for a late debut album to forgo the alias and come with an authentic author’s album as ULLI BOMANS. Electronic music thought through to the end as an inner journey through the tattered cities in which we live. “SO WHAT?” takes us deep down within (the city, the music, the inhabitants). The cover image and its track “MISSING SHIPS” go even further, taking no detours, carving up the whole, babbling, and projecting a reality onto the imaginary. “BARBARA” takes it to the point, half-beat, slow, melodies emanating from submerged cities. And so it continues, abstractly normal. Then “$55” and “CURB YOUR EGO” flow almost like the music of Shrubbn!! through margins and elec- tronic streams and threads, full, empty, musical. On the flipside of the record – conceived chiefly for vinyl – the tables are turned (somewhat) and it goes all out into club sound, dodges around, house, techno, positive and deliberate – as psychotropic drugs, as hook, as heart and as the urban sam- pling of an existence that we are all living. “DIRTY YOGA” gets into a truly joyous groove and just carries on, while “SPOILPARK” (as we recall, the title of his last exhibition) and “ON MARS” bring this album together in an amazing symphony of electronic music. Wonderful!! !